If ever there was an argument for selective abridgment, this audio version of Parker's latest Spenser outing is the poster child for it. Spenser, Susan and everyone else uses ""I said"" or ""she said"" so often that it soon becomes laughable. It's also unnecessary, considering Mantegna's vocal talents easily let listeners know exactly who is talking. His Susan and Hawk sound different enough to let us in on the secret, and his Spenser has the humorous crackle we've come to expect. 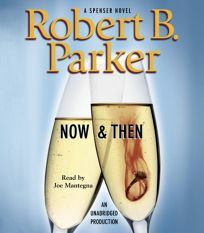 With villains that are equally differentiated, Mantegna keeps the book moving and excels at Parker's smart dialogue. But even the most loyal Spenser addicts might have to swallow a chuckle because of the attribution repetition. Simultaneous release with the Putnam hardcover (Reviews, Aug. 20).